How to Print Directory contents? Printing directory is something that everyone needs now or then. Unfortunately there is no built-in option to do this in Windows. While there are plenty of commercial applications that can do this a free disk cleanup tool has this neat option and can print also to multiple file formats besides printing on paper. Folder Size is a FREE tool aimed towards disk cleanup. Printing directory is the least that this tool can do. 3. The content of the folder is instantly displayed in the Folder Size application and available for analysis. 4. Use the File->Print option in order to print the content. 5. There are plenty of options that can be tweaked. 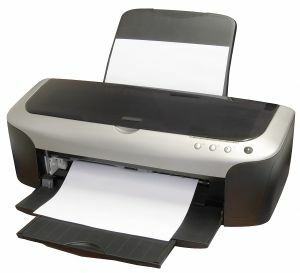 The application can print to PPV (Print Preview), EMF, Multi-page TIFF or PDF. The main purpose of Folder Size though is the disk cleanup process. This tools will scan and display the folder and file sizes for easy visualization of the hard disk space distribution. It can list also the largest files and the largest folders. There are plenty of export features that can save the data in XML, CSV, JPG and other file formats. Folder Size is free for personal use. This entry was posted in Information and tagged Directory Print, Directory Size, File Print, Folder Print, Folder Size, Print Directory, Print Directory Content, Print Directory Sizes, Print File Sizes, Print Files, Print Files List, Print Folder, Print Folder Content, Print Folder List, Print Folder Sizes on March 18, 2013 by MindGems Support.